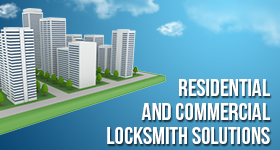 Need commercial locksmith in Uxbridge, Ontario? We are at your disposal. Our specialists are available for fast and professional assistance at any time. We are on standby and ready to help you whether you get locked out of your office, need a file cabinet opened, ora safe unlocked.Security of your business in Uxbridge is our primary goal. We offer comprehensive commercial locksmith and security systems to cover all needs you may have. 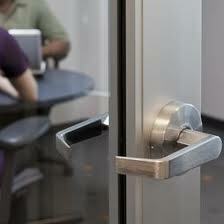 Our company also offers a wide array of specialized locksmith services including panic bar repair. Whatever your particular needs are, we will take care of them all. With the necessary tools on hand, our office locksmiths can resolve any problem without getting your belongings damaged. The knowledge of advanced technologies combined with years of training and experience allows our industrial locksmiths to undertake even the most complex tasks. Over years,Locksmith Uxbridge has built the reputation of a trusted leader in the business. We keep on improving the quality and quantity of our services. From a simple commercial locks change to the access control system installation, we can do it all to your full satisfaction! Not only can we meet our clients’ expectations at every step of the process but also offer a competitive pricing. Whether you need a local locksmith to secure your commercial property or you want to do a security audit on your business, our Uxbridge commercial locksmiths will be happy to assist you. You can sit back and relax,knowing your safety is in good hands. Our team is available 24 hours a day, 7 days a week and ready to work at your convenience. We are waiting for your call!